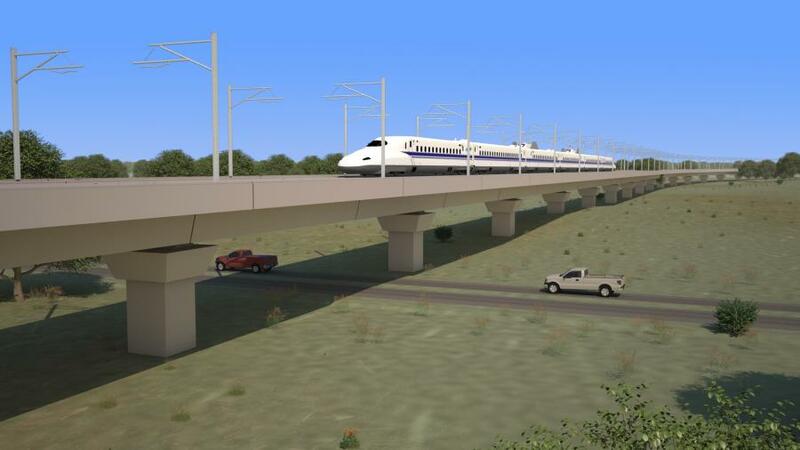 Texas Central, developers of the high-speed train between North Texas and Houston, announced an agreement on May 2 with Bechtel to work together on project management services. Bechtel has completed more than 300 major train and subway projects, including the Channel Tunnel High Speed 1, Crossrail in London, Riyadh Metro and Dulles Corridor Metrorail in the Washington, D.C., area. Bechtel will support Texas Central in managing the Texas Bullet Train project as it moves from development to implementation. The announcement is the latest significant step forward for the innovative, investor-led project — a 200 mph train that will connect the state's largest cities in 90 minutes, with a midway stop in the Brazos Valley. “We're putting all of the elements together, building toward the expected 10,000 direct jobs each year during construction in Texas. The addition of Bechtel, with its experience in train and mega-infrastructure project experience, is another sign of the expertise this project is attracting and leveraging,” Texas Central CEO Carlos Aguilar said. Texas Central, Fluor, Lane and WSP are refining and updating construction planning and sequencing, scheduling and cost estimates and other design and engineering activities. That's being guided by the Federal Railroad Administration's recently released Draft Environmental Impact Statement (DEIS) on the project. Teams of technical experts continue working on the project every day as the environmental assessments, engineering, design and other work enters a new phase. The DEIS for the first time outlined a single, preferred route between North Texas and Houston, identified passenger station locations and recognized the train system's low-impact design and construction principles. The FRA will complete a final environmental review that will help determine the project's timeline and route before construction begins. For more information, visit texascentral.com and Bechtel.com.